This method is based on the concept that children can be taught to play an instrument in much the same way they learn to speak. Enrollment is limited. 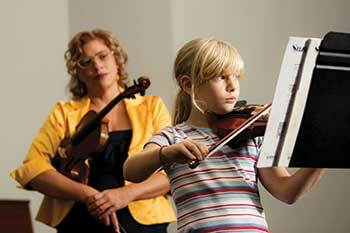 These classes are available for all ages and are also offered for traditional violin and viola. 30-minute private lessons plus weekly group sessions.